This feisty couple mixes fire and water in a volatile combination that may prove explosive, yet exciting. Aries and Scorpio are both ruled by Mars – the planet of conflict, lust and will – giving this pair a lot to contend with. Since both enjoy fireworks and a bit of drama, these partners can get along just fine, though their interpretation of a peaceful relationship may look very different than most. Venus in Aries demonstrates her love by showing how honest, brave and independent she is. For this Venus, being truly authentic in a relationship is the holy grail of love and intimacy. Not one to run from a conflict, Venus in Aries may even seek out fights as a way to test her partner’s mettle. Though the average mate may get worn down from constant conflict, the right person can find love with Venus in Aries to be an exciting adventure. Mars in Scorpio seeks out intensity, depth and transformation in relationships. Sexual interactions help this Mars to release pent up emotions and energies. Trust and vulnerability are hot topics for Mars in Scorpio, tantalizing and frightening at the same time. If Mars in Scorpio is able to form a life or death bond with a partner, he will then reveal his hidden depths. Often, however, the process of forming this bond involves relationship acrobatics that would frighten more timid souls. Fortunately, what others might find scary is actually safe and familiar to Venus in Aries. This Venus appreciates the intensity and passion of Mars in Scorpio and is able to give as good as she gets. Mars in Scorpio in turn respects Venus in Aries’ power and drive. This couple does need to be careful that they don’t get stuck in power struggles that prove self-destructive. They have a propensity to get so caught up in the challenge of their relationship that they can forget about the more peaceful and loving potential of their union. That explains my attraction in many ways(STILL!) to same Capricorn FP to a *T*! My Venus in Aries also loves the ginger hair too, I’ve found. Fortunately I’ve been wise enough not to act on it except to pray for his happiness- hopefully someone like him that is within my happy hunting grounds (Venus in Aries loves the chase!) will come my way someday. Wow, it was very spot on (well, this one wasn’t for me, but for a couple I know with this combo!) 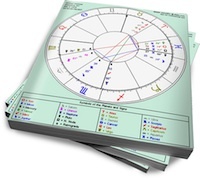 I’d like to see your writeup on the Venus in Leo-Mars in Libra compatibility. Thank you in advance! I noticed this is a fire/water combination…does it work the same for venus aries mars in cancer.? ?I noticed you dont have that combo..
As a Mars in Scorpio gal, this is spot on. Trust is a BIG issue for me and is the issue for why I’m interested in sexual submission. Mine not his mind you. But no man gets to have it until I trust him enough. Venus in Aries sounds interesting though. The authenticity part, good. Constant battling, not so much. I have no problem being tested, I definitely understand that. But does Venus in Aries (like Aries Sun) thrive on battling it out? Even after trust has been won? Because I’m not too interested in constant fighting to keep things interesting for the rest of my life. I’m a Gemini and I know there are other ways to keep the relationship interesting.